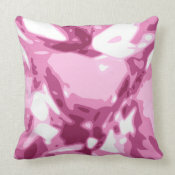 Cool Jewel Pillows - Oh So Girly! 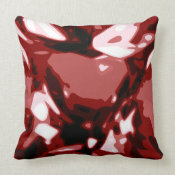 I love cool concepts and I really have a thing for novelty gifts that look like other things. You know the type, iphones that look like cameras or 80s music cassette tapes, or clocks that look like giant floppy disks. 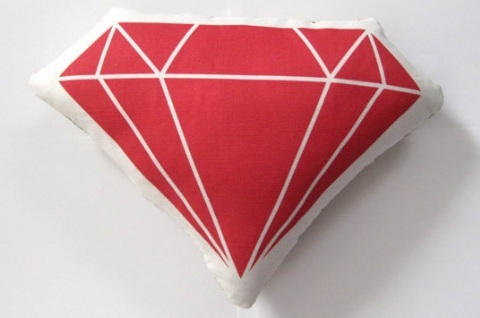 Over the past few days I’ve been thinking of designing something cool and unique myself and as I was lying in bed last night I came up with an idea: giant jewel pillows! 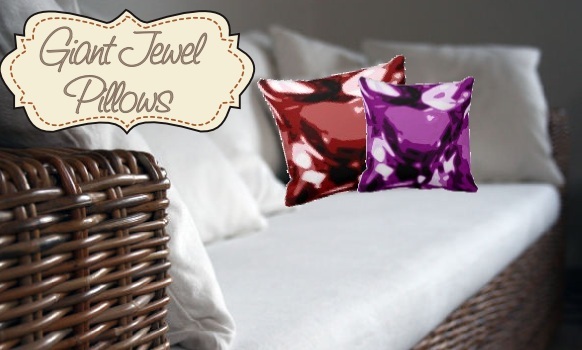 So this morning when I woke up, the first thing I did was rush to the computer, switch on my art program and attempt to create an image that would translate into colorful diamond-like jewel pillows! I sneaked in a little subtle heart shape into the shine in the center and I played around with more colors and you can see the full selection in this article that I featured them in.